Welcome on a student tour to Brighton. Free time for lunch and sights, shops and attractions. 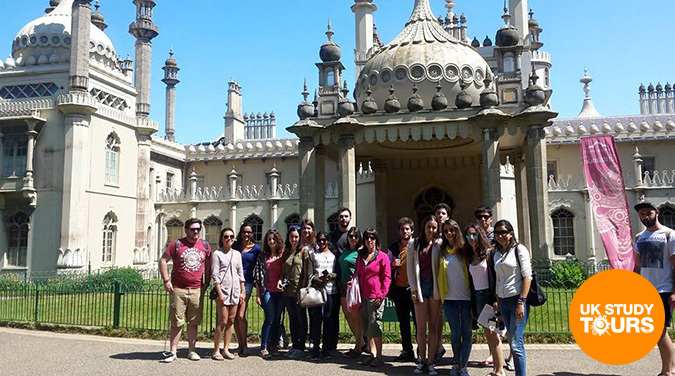 On the walking tour you will be shown the best of Brighton including the Royal Pavilion and its gardens, also taken through the bohemian area with its retro or unique independent shops, some buildings showing colourful graffiti street art. We will see the old historic centre of the city through to the beach and seafront. Your guide will finish the tour after showing you what the seafront has to offer. 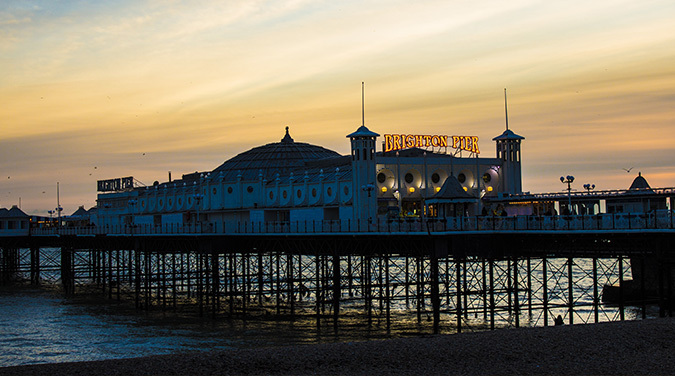 The seafront is very connected to the city and the location for the famous Brighton Pier, full of amusements and fairground rides. See more of the city on the new i360 sightseeing ride. Nearby is the oldest sealife aquarium in the world. Often there are events or festivals taking place to add to the atmosphere. In the afternoon, there will be plenty of free time for you to get some lunch (maybe some local fish and chips or other seafood?). 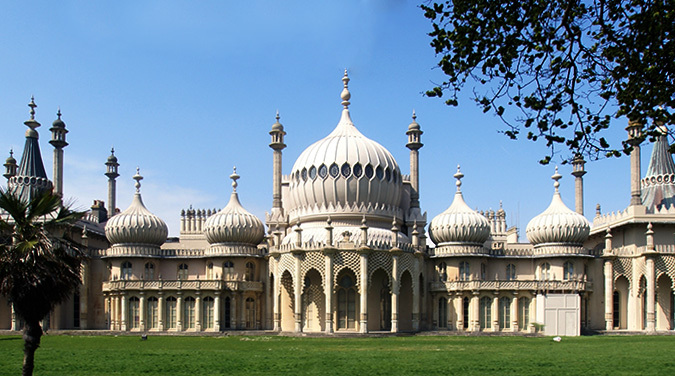 Then visit any of the great shops, the museum and art gallery or attractions such as the Royal Pavilion. Or simply relax on the beach. Brighton is one of the largest resorts on the South Coast of England. 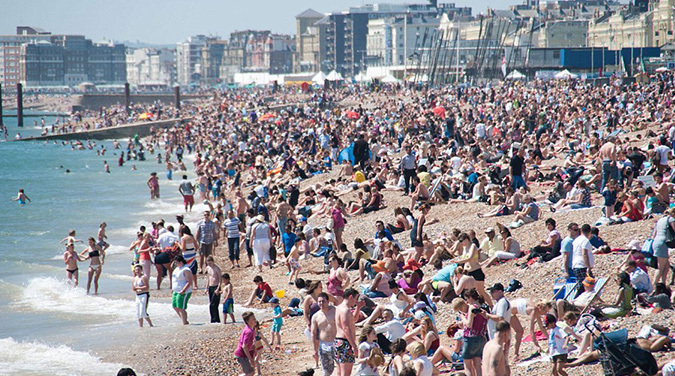 Brighton is not just popular as a destination in the summer months but at weekends throughout the year. Brighton is also called "London by the sea". Brighton has a unique feel to it and a cool vibe which attracts many. Come and see why Brighton is one of the most fashionable and trendy places in the UK. The Royal Pavilion is one of the most unique buildings in Britain. It was built about 200 years ago in the fashion of an Indian Palace. Tickets are usually available to purchase on the day and can include a multi-lingual audio guide. Construction of Brighton Pier began in 1891 and took eight years to complete. Brighton Pier is now the only pier left in Brighton after the older West Pier was destroyed in a fire in 2003. The pier offers great views along the coast in both directions and contains many amusement rides, cafes and bars. Free to enter, rides and amusements are extra charge. The museum has many galleries with exhibits about Brighton as well as collections of pottery and porcelain plus a world art collection. Brighton’s past and present as the county’s busiest fishing town is celebrated in this delightful museum near Brighton Pier. Opened in 1992 it was part of the regeneration of Brighton’s seafront in the area known as the fishing quarter, where locals offer freshly caught fish and shellfish for sale and a traditional smokehouse operates nearby. Entrance is free. Brighton's newest addidtion the skyline and one of the best sightseeing towers in the UK. Designed by the same company that designed the London Eye.